Few things in life are as troubling as seeing your child struggle with a social, emotional, developmental or behavioral problem. As parents, we want to do all we can to help our children cope with adverse circumstances, and it’s imperative we take action as soon as a problem is suspected. Play Therapy is an effective and developmentally appropriate intervention for addressing the difficulties young children often face. 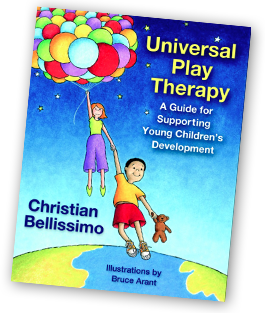 A specialist in Play Therapy, Christian Bellissimo treats problems early, and helps children, often in collaboration with their caregivers, build the coping skills and emotional resiliency required to overcome life’s challenges. If you have questions or concerns about your child, call Christian to speak with him about how Play Therapy can help.